A fantastic workshop for the U8 and U9 net ballers lead by Natalie Swift and Surrey Storm players from St Johns School Leatherhead. 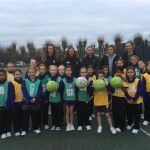 A fantastic workshop for the U8 and U9 net ballers lead by Natalie Swift and Surrey Storm players from St Johns School Leatherhead. 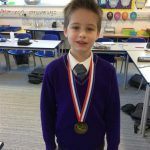 A Banstead pupil has won gold in the 25m breast stroke at his swim club championships. He swims with the Sutton & Cheam Swim Club, a local competitive team. 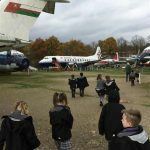 This year at Banstead we held a Remembrance Day assembly. Poems were read and a two-minute silence was held. 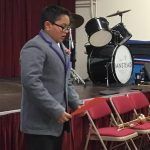 Before the two-minute silence, one of our talented Y6 trumpeters played The Last Post in preparation for our two minutes silence. As is tradition, our two minutes silence ended with The Rouse from The Last Post…. 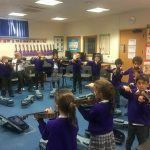 Year 3 enjoyed their first violin lesson! The lesson started with holding your violin and the importance of good arm and shoulder strength to keep your posture. 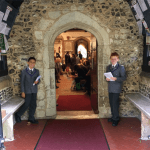 All Saints' Church welcomed Banstead Prep to host our first Harvest Festival with music and singing. 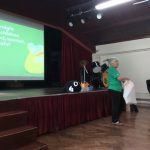 Parents and members of the local community were invited to watch and take part. The service was vibrant and beautiful with performances from Years 1-6. Performances included ‘Look at the World’ by Y3-Y6 and the fantastic “Harvest Samba” performed by Y1. 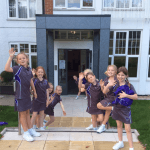 Two strong victories for the Under 8s and Under 9s Girls Netball teams against Seaton House. 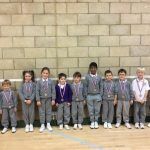 The games were won by determination and fantastic teamwork. The two teams are very proud of their victories against two very strong opposing teams. They are looking forward to their future games.